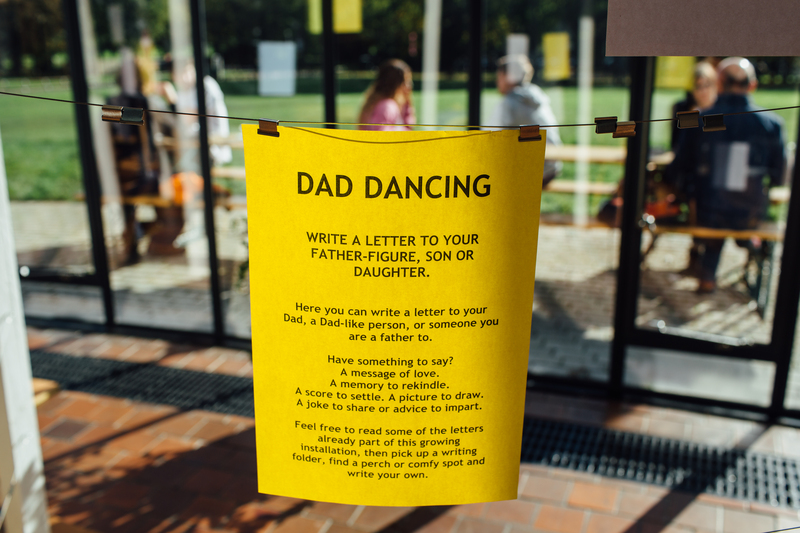 Accompanying the show was a letter-writing installation designed by Becky-Dee Trevenen, which encouraged participants, audiences and passers-by to share their own stories and write a letter to their own father-figure or child. The installation provoked funny, poignant and meaningful reflections on fatherhood, with over 100 letters written in several languages across the 4 locations we toured to. This growing collection of personal stories travelled to each town, and the installation that held these letters also provided a welcoming space for audiences to talk to each other and reflect after each performance. The installation was hosted by facilitator in each location, who was on hand to talk to audiences about their experiences of the show, and their own reflections on fatherhood. The show and installation reached audiences of over 1,700 people.